“I’m a perfectionist”, Alain Ducasse told me when guiding me through his brand new manufacture de chocolat. And I confirm, he definitely is. 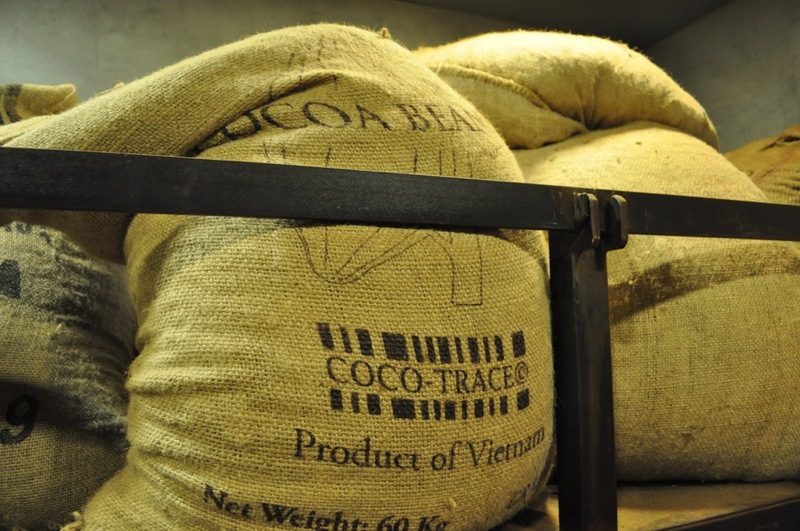 It took him five years, but here he is with a 320 square metre space in the heart of Paris, a fantastic chocolate factory, a stones throw away from the Bastille, where he will do it all: the whole bean-to-bar process. All chocolate addicts should be warned: After this, you’ll be lost for the rest of the regular chocolate makers. 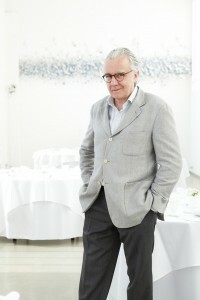 Ducasse, the multi-star Michelin chef, definitely is one, if not THE most famous chefs of the planet. But did you know that he’s a chocolate lover? I didn’t. It began, when he was twelve years old. At the age of 18, during his training, he spent the summer months helping Gaston Lenôtre, the famous French pastery chef. “I always knew I would come back to chocolate one day”, Ducasse said. And here he is. 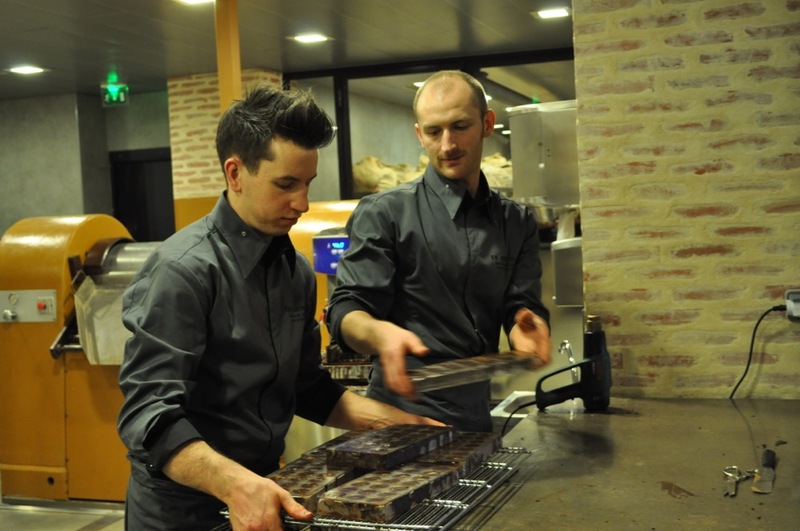 The idea was quite simple, but radical: produce chocolate in a complete artisanal way. Import the best beans from various origins, roast and grind and crush and conch them in not-industrial quantities (not more than 200 kg or 440 pounds) and do it all in front of the customer who can actually observe the whole process from bean to bar. But do you really can taste the difference between a chocolate produced this way and those you can find in the famous chocolate makers of Paris? Can you feel the slowness on the tongue? “Of course”, said Ducasse, “it’s a question of taste and concentration of flavour. You feel that there is less fat, less sugar.” Ducasse calls it: la haute-couture du chocolat. It all started, when Ducasse met chocolate maker Nicolas Berger who became pastry chef of the whole Ducasse group. 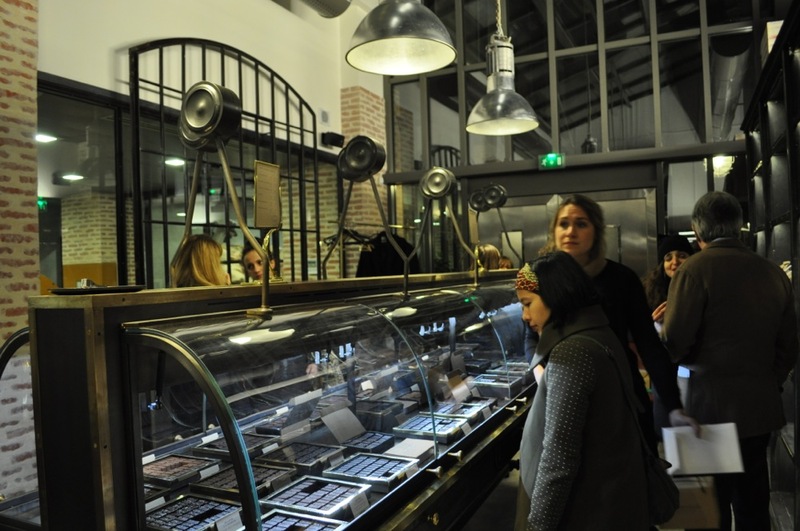 It was a done deal: One day they wanted to open a chocolate factory in the heart of Paris. Together, it took them five years to find the right spot and all the machines necessary for an artisanal production. Berger travelled around Europe and found an old coffee roaster, winnowers and a concher – most of the machines had to be fixed. Is the manufacture worth a detour? I would say: it’s worth a trip from Australia. Forget everything you ever knew about chocolate. Close you eyes and try the ganaches origins or the ganaches gourmandes, slightly flavoured with mint, pistachio, coffee beans or even peanuts: the explosion of taste is just indescribable. I’m sorry to tell you: from now on you’ll be lost for the rest of ordinary chocolate.